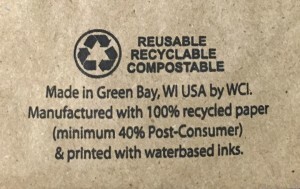 100% Recycled Natural Bags from WCI - Compliant with Bag Legislation Nationwide | Wisconsin Converting, Inc. The number of Americans affected by plastic bag legislation continues to grow. Retailers and packaging distributors nationwide count on WCI for recycled paper single-use bags and eco-friendly shipping and mailing bags. WCI stock and custom recycled natural merchandise and SOS bags meet or exceed the minimum 40% post-consumer requirements (many are made with 100% recycled kraft paper) and are 100% recyclable, biodegradable and compostable. We also offer handled shopping bags that are in full compliance with bag legislation. This is important to distributors located in areas impacted by these laws, but also to any retailer or distributor who sells online and/or services businesses requiring compliant bags. To serve the growing number of retailers affected by bag legislation and to be compliant in areas requiring such information, WCI stocks bags imprinted with compliant bottom turnover logos on all recycled natural merchandise and SOS bags we produce. 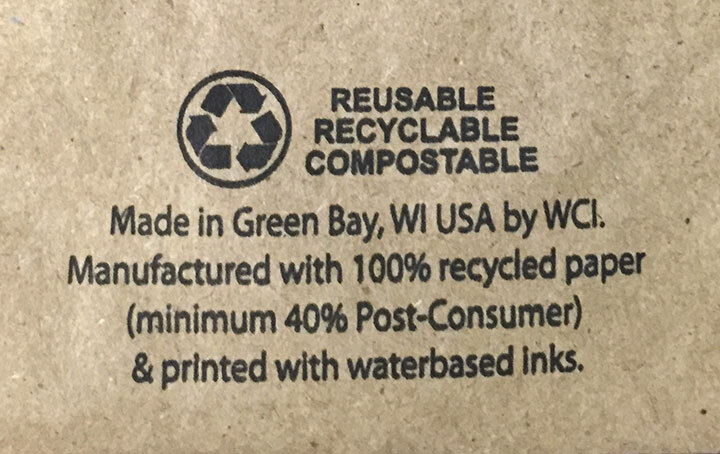 This bottom turnover information is printed on stock recycled natural and custom/printed recycled natural bags manufactured at our plant in Green Bay, WI. For a full description of all products that meet single-use bag legislation requirements, please contact our sales team at 800-544-1935. They will be happy to discuss compliance requirements and how we can provide packaging solutions for your business. 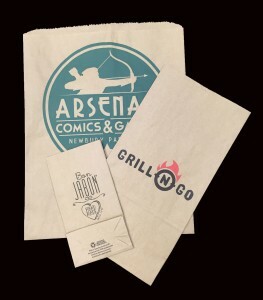 Wisconsin Converting, Inc. is located in Green Bay, WI and manufactures paper bags including merchandise bags, pharmacy bags, SOS bags, and hardware bags for retail, foodservice and industrial customers nationwide. WCI also is a top provider of paper shipping and mailing bags for retail and e-commerce customers.